How much is Annabella Sciorra Worth? Annabella Sciorra net worth and salary: Annabella Sciorra is an American actress who has a net worth of $6 million. 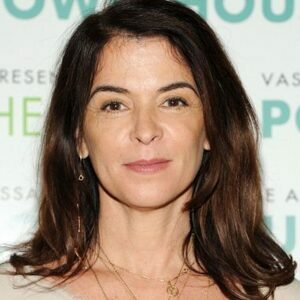 Annabella Sciorra was born in Brooklyn, New York on March 29, 1960. Her father was a veterinarian and her mother was a fashion stylist. Annabella was originally focused on a career in dance. She shifted her focus to acting when she was in her early teens, and went on to study at HB Studios and the American Academy of Dramatic Arts. She began her professional on-camera career in the late 80s, appearing in the television film, "The Fortunate Pilgrim", and in the feature film, "True Love". Since then, she has enjoyed a steady career, appearing in both film and television projects. Some of her film projects include "Internal Affairs", "Cadillac Man", "Jungle Fever", "Romeo is Bleeding", "The Funeral", "Cop Land", "Chasing Liberty", and "Marvelous". Her television projects include guest-starring, recurring, and co-starring roles on such shows as "Touched By an Angel", "The Sopranos", "Queens Supreme", "Mental", "The Good Wife", and "CSI". Her role on seven episodes of the Sopranos, as Mercedes saleswoman Gloria Trillo, received widespread critical acclaim. She dated Bobby Cannavale from 2004 to 2007. In late 2017 Annabella accused Harvey Weinstein of sexual assault. In the 1990s, Weinsten allegedly broke into her apartment and raped Annabella. It has also been alleged that Weinstein used his influence to keep her silent and stall career opportunities.